We’re less than a week away from the 2018 World Cup and I figured it’s a good time to take a quick look at the CONCACAF teams involved. Mexico, Costa Rica and Panama are the regions attendees this go round, down from the quartet of Mexico, Costa Rica, USA and Honduras in 2014. Three of those teams got to the Round of 16 with Costa Rica, surprisingly, making it to the quarterfinals. That’s highly unlikely this time around. I really can’t say much about Panama. Its their first ever World Cup so all the best to them. Hopefully they do better than Honduras and come away with at least one point. In a group featuring England, Tunisia and Belgium its possible. With Roman Torres at the back they will definitely give a good defensive effort and maybe the wily oldies in attack, Luis Tejada and Blas Perez, can cause some discomfort. Their reception will be much different from the one Costa Rica receives. Los Ticos will be treated with respect by their group opponents, Serbia, Brazil and Switzerland. It’s really hard to tell if this team will make it to the Round of 16. A lot of the key players from four years ago return to the fold. The side will look to be as solid defensively as they were in 2014 with Keylor Navas marshaling his troops from between the posts. The trio of Bryan Ruiz, Marco Urena and Joel Campbell up top can cause some damage on the counter and will have to be as efficient as they were four years ago. Should they make it out of their group it will likely be in second place. That would be the end of their run as their opponents would be Germany, the likely Group F winner. Mexico is the most talented of this trio and, as the ever-present CONCACAF representative, there will be some expectation again. They should get out of their group behind Germany given their talent but it won’t be easy. Sweden will be tough to break down and South Korea has the attacking weapons to punish them if they aren’t careful defensively. If Juan Carlos Osorio’s rotates as he usually does that will affect his key players. That, along with the teams profligacy in front of goal, might undo them. The likes of Carlos Vela, Giovani dos Santos, Javier Hernandez, Andres Guardado and Hector Herrera have the experience and talent to make a difference when it matters. I still hope to see the Santos brothers play significant time together but that’s unlikely. Their trip, like Costa Rica’s, would end at the Round of 16 stage as they would face Brazil if they advance. It wouldn’t surprise me if neither Costa Rica or Mexico made it out of the group stages nor would it surprise me if they both did. A bit of a cop-out there I guess. I expect that Mexico will make it and I give Switzerland the edge over Costa Rica. Hopefully Panama does well. It will be an interesting World Cup for CONCACAF teams but I don’t think it will be a particularly lengthy one. Okay, so, just wait a second. You’re probably wondering why Argentina is up there and not the reigning champions, Germany, or European champions Portugal or even Brazil, who are always favorites. Simply put, I’m just contemplating how three of the teams I’m cheering for will fare in the World Cup. I say three of the teams because as I mentioned during the 2014 World Cup I had a certain hierarchy when it came to teams on the international stage. That hierarchy hasn’t changed and Argentina is really there only because I want Lionel Messi to win, as I did in 2014. I’d be remiss to say I usually add the African teams, whoever they may be, to my list of teams to cheer for when World Cup time comes around. I’ll probably do a predictions piece closer to the tournament itself after a look at the CONCACAF teams. On to real business then. The big question with Spain is whether the Diego Costa trick will finally pay off. The disappointment in 2014 can probably be written off because he wasn’t fully fit or integrated into the side and in Euro 2016 they came up against an impressive Italy side. Still, they will be legitimate favourites for a reason. Few teams can match the mixture of experience and talent in this squad. They wont have the same expectations as 2014 and the loss in 2016 will have them even more determined to prove themselves. I think most folks will have them as a semifinalist. It won’t be an easy road, with the possibility of facing either Argentina or France as early as the quarterfinals. It will probably be Argentina as I don’t see France finishing second in their group. Still, this Spain side shouldn’t fear anyone once they reach that stage and if things click in the attacking third they will be tough to beat, as you expect them to control the midfield regardless of the opponent. France is coming of a tough loss in Euro 2016 and a solid qualification run. It’s an exciting group but there’s still a feeling they lack enough experience to go all the way. As mentioned before, I expect they will be on the other side of the bracket from Spain and Argentina. That’s likely to lead to an interesting rematch with Portugal in the quarterfinals, or even worse, a feisty Uruguay side. There’s also Brazil to worry about on that side. I still don’t fully trust Didier Deschamps as I feel he hasn’t gotten the best out of Paul Pogba though only Antonio Conte and Massimiliano Allegri have so far. The balance in midfield will be key. The best choice would be to start Steven N’zonzi to control things in midfield with N’golo Kante and Pogba but we’ll see. There’s also the hope that the youngsters up to Kylian Mbappe and Ousmane Dembele, with 25 caps between them, don’t falter on the big stage. I’ll probably still blame Deschamps if it falls apart. Arsene Wenger next up on the plate perhaps? Ah, Argentina. There really isn’t much to say about them is there? It’s baffling that a side with this attacking quality has relied on one alien to win something, anything, in the last decade. There’s only so many times one can ponder why Angel Di Maria, Sergio Aguero and Gonzalo Higuain can’t/won’t step up to the plate. True, the rest of the team, minus Javier Mascherano and an improved Nicolas Otamendi, is average but that doesn’t stop Messi playing his part. If Messi drags this side to a title as Diego Maradona did in ’86 it would shut a lot of mouths. Possibly. Maradona had one finals loss and one win sooo….. Even if he doesn’t win, Messi is still arguably the best ever. Also, with Jorge Sampaoli, Argentina has possibly the best coach in the tournament. He hasn’t been able to get it all together for the Albiceleste just yet but you can’t sleep on him in this tournament. As an aside, I’ll say I always have a soft spot for England. Not sure why. Interested to see how this group does. And, again, let’s not forget Germany. One of these teams will have to play them at some point in the tournament. I’d bet if that team gets past them they’ll win it all. I think I’m starting to get excited for the World Cup. Finally. Nice read here on John Obi Mikel. I definitely have to agree with the title. The talent that teams like Nigeria, Cameroon, Ghana and the Ivory Coast have produced at various times could certainly have won the World Cup if they didn’t continue to shoot themselves in the foot for various reasons. That Ghana side in 2010 were so close to the semis and Ivory Coast had some tough groups in 2006 and 2010. The likes of Senegal, Cameroon and Nigeria had their moments in the past. I think Nigeria will be the standard-bearers for Africa in this World Cup but it will be interesting to see what Morocco, Senegal, Egypt and Tunisia do. I’ll do some more World Cup stuff on the CONCACAF sides and the teams I’m cheering for and probably a bigger overall preview right before as well. Trust Gab Marcotti to make me start to come to terms with this appointment from Arsenal. I would have been actually excited at the appointment of Mikel Arteta or even Thierry Henry as I wouldn’t have known what to expect. Emery’s history is well-known and not exciting in the least. I wasn’t expecting a title-challenging squad anytime soon regardless of was appointed, and I doubt we’ll get that with Emery. Can he stabilize the squad and produce a solid team that eventually starts winning the big trophies again? I’m still going to take the wait and see approach on that. His time at Sevilla and Valencia was impressive in parts but his away record, record against bigger teams and Champions League failures stand out. For now, it’s on to the World Cup. Excellent piece here on Lionel Messi. That bit about the photo shoot was interesting. I don’t mind that he’s silent and simply wants to play football, though the author brings up a good point about the difference between him and some of his contemporaries. Does he have to be like Pele’s or Muhammad Ali’s? I don’t think so. Is it weird that all that will be left of Messi when he retires is his highlights? No. As the author states, Messi engages in philanthropy along with many of his peers and I don’t think he should be expected to do more because of his status. What’s Next For the League Champions in England, Spain, Germany, Italy and France? Europe’s top leagues come to an end this weekend with no suspense about the potential winners. Teams in La Liga, Serie A and Ligue 1 will play their final games with most players concerned about the upcoming World Cup, or their holiday plans. The Premier League and Bundesliga already wrapped up last weekend. The only surprise this season where league titles are concerned was the battle between Juventus and Napoli in the Serie A. Whereas all the other competitions finished, or likely will finish, with double-digit leads for the leaders, Napoli made Juventus work for a seventh consecutive title. 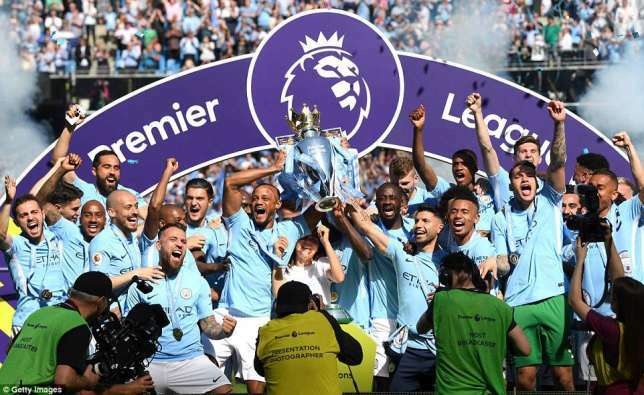 Elsewhere, Manchester City accumulated a historic 100 points with a 19-point lead over Manchester United in England and Bayern Munich finished 21 points ahead of Schalke in Germany. 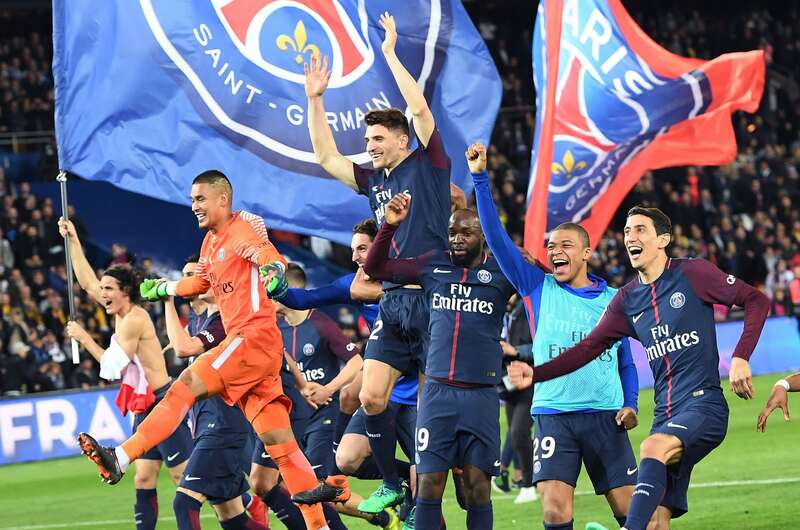 Barcelona has a 12-point lead with one game remaining in Spain while Paris Saint-Germain waltzed to a 15-point lead over Monaco in France with one unimportant game remaining. For all their dominance domestically, these teams failed to meet expectations in Europe. Manchester City were dark horse contenders for the Champions League, and a solid run in the competition was expected considering the talent at Pep Guardiola’s disposal. City’s early season form, and the fantastic play that came with it, heightened expectations that a good run would occur barring disaster. That disaster came in the form of a confident, energetic Liverpool team and City were brushed aside over two legs. There’s no need for Guardiola’s side to be too concerned though. The Citizens still have a fantastic squad with depth and experience. Yaya Toure’s departure means a new midfield addition is likely and the arrival of a left-back will free up Fabian Delph play his more natural role. If he stays. One major question will be whether Guardiola makes the right decision when City reach that stage again. He hasn’t made much of a dent on this competition since his Barcelona days. Next season would be a good time to start. Barcelona will end the season with a double but it certainly feels underwhelming. The Blaugrana were bailed out time and again by Lionel Messi in games big and small. The loss of Neymar decreased the squad’s attacking verve and Ernesto Valverde’s approach didn’t help. That was clear in the embarrassing collapse against Roma in the Champions League. The former Athletic Bilbao manager essentially trotted out a supercharged version of his former Bilbao squads this season. The defensive solidity was a welcome change but it made Barcelona reliant on Messi’s magic against well-organized opposition. The squad will likely see an overhaul as it seems Valverde had a hard time trusting Denis Suarez and Andre Gomes in midfield. Barcelona fans would certainly have no problem with the latter getting the boot. The major issue will be Andres Iniesta’s departure and, again, central defense. It’s possible that Valverde, if he stays, will fit Philippe Coutinho in that role but there is still a lack of overall depth in the squad. It also matters that there are few real difference makers on the bench unlike their rivals, Real Madrid. Valverde will have to change something next season beyond players. If he wants to remain solid and is as averse to the 4-3-3 as he seems then a 4-2-3-1 with Messi behind Suarez would be better than the 4-4-2 we saw so much of this season. Bayern Munich sacked Carlo Ancelotti early in the season and they probably aren’t upset with the result. Had they matched Real Madrid’s clinical finishing in the Champions League semifinal then they would be looking at a possible treble. There will certainly be some major decisions to make over the summer. 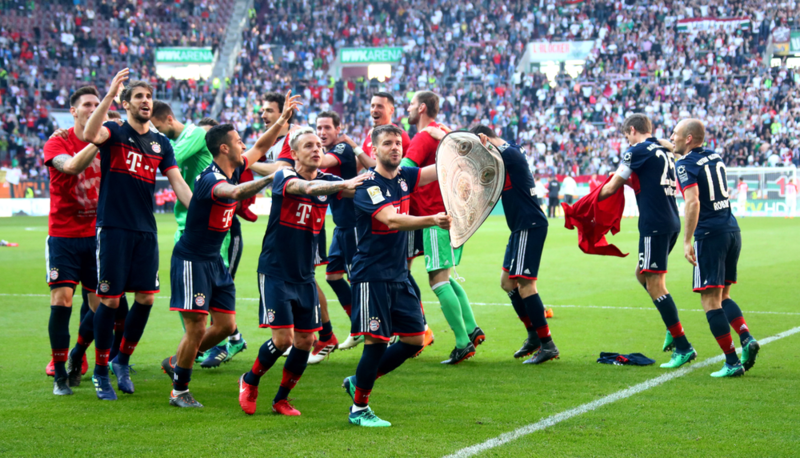 Jupp Heynckes’ stint at the club is one, and overhauling an ageing squad is another. Bayern still has no problems domestically with the likes of Arjen Robben and Franck Ribery but the wing duo no longer have a major impact in Europe. The overall depth of the squad is okay but making James Rodriquez a full-time member of the squad should be a priority. Another forward to back up, or possibly replace, Robert Lewandowski would be a good addition. A large part of Bayern’s success next season will depend on who is at the helm. They should return to the latter stages of the Champions League but it will be a long road. Juventus. No more Gianluigi Buffon means a new era begins. It was sad to see the legendary goalkeeper’s last European game end as it did, especially after what was almost a fantastic comeback. Europe still eludes the Old Lady though Maximiliano Allegri led the side to another double this season. The domestic success came with some ups and downs. By the way, if you haven’t watched the Juventus series on Netflix then do so. It’s fantastic. Allegri’s decisions in certain games nearly cost Juventus another Serie A title just as much as Napoli’s collapse won it for them. The core of the squad makes for a serious contender in Europe but fresh faces are needed in defense and midfield. Paris Saint-Germain already have a new coach, as BBC reports Thomas Tuchel has taken over from Unai Emery. That was expected after the disappointing defeat to Real Madrid in the Round of 16. The league is a given for this squad with Tuchel in charge. The possibility of Neymar’s departure will be a major cause for concern though. The Brazilian left Barcelona to be a leading force in a Champions League contender but saw his side fail miserably without him. A replacement for Thiago Motta’s experience in midfield will be necessary but, barring any major departures, Tuchel has a lot to work with. His inexperience in the Champions League may be the one thing that works against the Parisians. Some great points throughout, as always, by Michael Cox. A lot of European clubs, not just the big boys, want to play stylish, attacking football. Or, at least, they want to present the idea that they can. The 1-0 game between Atletico Madrid and Arsenal did seem boring in comparison to the Champions League semis but it was simply a matter of excellent defending by Atletico. The idea of the club’s brand playing a part in that decision is very interesting and makes even more sense when you compare to international football. Each continent certainly has stylistic similarities in terms of play but, ultimately, each international teams approaches the game differently. What makes the difference at the club level is that players spend months together learning each others patterns along with being constantly drilled in a specific style by their coach. There is much less time for international teams even during tournaments. Perhaps that’s another reason the upcoming 2018 World Cup is yet to fully excite. There are sure to be some painful games early on as players, coaches etc get accustomed to each other again after exhausting seasons. Hopefully enough quality shines through and it doesn’t become a case of playing not to lose instead of playing to win. It’s been way too long since I did this but I’m hoping to get back into it and eventually get a regular schedule again. There will be a lot of shorter pieces like this or posting various interesting articles like I used to and eventually transition to more of my writing. 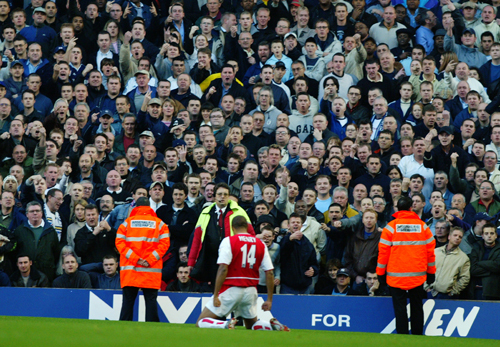 Watching Arsene Wenger’s last home game was nothing like watching the last game at Highbury. No stakes, no real excitement. Just a meh feeling. A 5-0 win definitely looks good but it had little meaning. There was some decent football on display but none of these players excite me. Arsenal is definitely a Europa League team now. The new manager, whoever they may be, has a lot of work cut out for them. I wouldn’t mind a squad overhaul but it the moves that are made have to make the Gunners capable of getting back into the Champions League in one shot. Like all Arsenal fans, or at least I think all, I’m ultimately sad Wenger is gone. I’ve been on the Wenger out side of things for a while now but I’ve always appreciated what he did for Arsenal. The Europa League exit to Atletico Madrid was disappointing even though it was expected. The team’s lack of leadership and real quality was clear. On to the new era Gunners. I’ll keep it short as far as the Champions League final is concerned. I hope Liverpool wins. If Mohamed Salah doesn’t falter on the big stage, and there’s no reason to believe that since he hasn’t so far, then Liverpool have a good shot. I would say they have an even better chance if they defend well and hit Real Madrid on the counter but that approach is unlikely. What I’m expecting is an open, fast-paced game. It will come down to goalkeeper mistakes/finishing chances. We shall see. If Real Madrid win then hats off to them. Winning the Champions League three times on the trot in this era would be a superb achievement. Madrid has had an extremely tough run this season and there were very few times that it seemed they were on the ropes in the knockouts. There’s a World Cup this year and I don’t know about you but I’m not excited yet. Maybe it’s because of Russia, maybe Qatar or FIFA still trying to restore its reputation after the scandal a few years back. It just doesn’t feel like a World Cup year. The growing behemoth that is club football also acts as a distraction despite the fact that most of the major leagues in Europe have been a formality for a few months. I think/hope it will turn out alright as Brazil’s did in the end. No Oranje for me to cheer for but there’s still France and Spain, all the African teams and the federation of Lionel Messi, I mean Argentina. It’s his last chance and I really would like him to win the big one to end all arguments. Except he’ll still have his critics even if he carried Argentina to the final while using a mind-control device to guide Gonzalo Higuain on his key one-on-one opportunities, and organized the defense at the same time. The sure favorites right now would be Germany, France, Brazil and Spain but there should be a lot of intriguing games. One other factor that will certainly provide entertainment will be the introduction of VAR, as reported here by CNN. I’ll probably do some more preview stuff as we get closer. My piece for the Boot Room on the pressure on Vincenzo Montella at AC Milan next season. Pep Guardiola, Jose Mourinho, Zinedine Zidane, Unai Emery and Antonio Conte. What do these managers have in common? They are among the elite managers who will be under enormous pressure next season for a number of reasons. Nonetheless, there is one man not yet in their category who will be on the hottest seat of them all next season: Vincenzo Montella, the manager of AC Milan, will head into his second season in charge with lots of eyes on him. AC Milan have had the most eye-catching transfer window so far and there is still over a month to go. The Rossoneri capped of what has been a very decisive summer so far with the best signing of all the big teams. Their capture of Leonardo Bonnuci brings arguably the world’s best defender to the San Siro and weakens a major title rival, Juventus, in the process. That is not a move many expected from a team that has finished in 10th, 7th and 6th in the last three Serie A seasons. Another big win for the Italian giants came with the extension of Gianluigi Donnarumma’s contract. One major reason Montella will be under pressure is the presence of new ownership. Milan’s former owner, Silvio Berlusconi, and a group spearheaded by Chinese businessman, Li Yonghong, finalized the long-awaited change of ownership. The new owners and their executives have wasted little time in making their mark. Milan’s CEO, Marco Fassone, and sporting director, Massimo Mirabelli, have adopted an approach that would make many a Football Manager aficionado proud as they have almost assembled a new squad in one window. Bonucci is one of 11 new signings by the club so far this summer. All this means Montella has plenty of expectations to live up to in the new season. Milan’s new owners may focus on a return to the Champions League in public. However, privately they will surely be expecting more. The board, the fans and the footballing public will want to see how Milan performs after a summer of significant change. Montella did well with what he had last season, winning the Italian Supercup and leading the team back to Europe, but this is an entirely different challenge. The former Fiorentina boss will have to integrate his new signings, almost all of whom will play a key role, while ensuring the continued progression of youngsters like Davide Calabria and Manuel Locatelli. The experience of winning silverware last season will help while Bonucci’s leadership and experience will be vital. Montella will also be tasked with ensuring that arguably the best team he has had in his career plays stylish, winning football in homage to Milan’s history. Whether or not the expectations will be fair is another matter. The most even-keeled fans will be satisfied with a strong run at silverware in all competitions and a return to the Champions League. Still, it is not unthinkable that this mixture of talent could do better if Montella makes the right decisions. Juventus will still be favorites as they continue to add talent and retain the league’s best tactician in Massimiliano Allegri. The Old Lady may be preoccupied with Europe this season, though, considering their recent heartbreak on the continent. The jury is out on the other two major contenders. Napoli played some scintillating football yet fell short in key moments while the boost in productivity from Edin Dzeko could only do so much for Roma. Both sides will feel some measure of confidence after Bonucci’s departure but they have previously failed to capitalize on any moments of weakness from Juventus. The fact that these teams have the easier Champions League schedule to contend with does work against Milan but the growing list of additions should provide Montella with the depth to compete. There is the possibility of more to come, as well, with the transfer window over a month away from closing. According to Italian outlet La Repubblica, as referenced by reputable Spanish publications AS and Marca, Atletico Madrid may look at the possibility of loaning Diego Costa to Milan for the first half of the season should they sign him from Chelsea this summer. With Carlos Bacca likely to leave, as reported by ESPN, the Rossoneri still need a quality striker to lead their resurgence next season. Such a move would heap even more pressure on Montella to get results. Milan’s season officially begins with a Europa League qualifying tie on July 27. That will give Montella more time to get any kinks out of his side and, hopefully, get the season off to a positive start. The positive performances for some of the new signings in the most recent friendly against Bayern will heighten expectations. The question of when the two sleeping giants of Italian football, Milan and Inter, would rise again has been constant in the last few seasons. Milan’s actions this summer suggest that time may have come. Montella’s task will be to ensure that his side lives up to the hype created by this summer’s activity. There are still almost two months left in the transfer window, but Barcelona need to get a move on. At least, that’s what the Twitterati would have many believing. Some Barcelona fans may agree with that assertion. Last season was a disappointing one for the Blaugrana,despite the club picking up silverware by winning the Copa del Rey. The club’s defensive frailties were a source of concern time again, along with a lax attitude when facing smaller sides. A main reason for this was that, in Luis Enrique’s final season in charge, Barcelona failed to look like Barcelona at all. The control of midfield was gone, along with the pressing from the front. Part of that was due to the managers instructions but injuries and loss of form affected various players throughout the season. There were additions aplenty during the summer of 2016 but only one player, Samuel Umtiti, proved capable of handling the Barcelona cauldron. With Enrique’s departure common knowledge for the last quarter of the season there was plenty of anticipation surrounding who his replacement would be. Athletic Bilbao’s Ernesto Valverde was the man chosen in the end, in a solid but somewhat underwhelming move. The 53-year-old is a good coach and one that has proven himself in La Liga, but Barcelona is an entirely different beast compared to Bilbao. The speed with which the decision was made suggested that Barcelona would be in for a decisive summer. The renewal of Lionel Messi’s contract also helped calm any worries. Still, Barcelona fans are likely casting envious glances upon seeing the money being spent in the England, by their rivals, Real Madrid, and even in Italy, by AC Milan. There are plenty reasons for fans of the Blaugrana to stop worrying, though. Valverde’s appointment means at least one point of contention during Enrique’s tenure, the development of youth prospects, will be addressed. Valverde has no problem trusting young players with talent and one can expect the likes of Sergi Samper and Carles Alena to get a decent amount of chances. Those a step ahead, like Munir, should also see more regular minutes, along with the now permanently signed Marlon, who performed well in defense at the end of last season. Those players will help with issues of rotation and depth, providing they take their chances if they stay at the club. There were still glaring issues for the new coach to fix, but those have been dealt with in a relatively fuss-free manner. As reported on Barcelona’s official club website, Gerard Deloufou returned from Everton after four seasons. His addition, along with Munir’s return from loan, helps address the issue of depth up from for the Blaugrana. There may be some worry about his overall impact given his inconsistency but he has the technical skills one would expect from a former starlet at La Masia, and his form at Milan in the second half of the 2016/17 was full of positive moments. His return may result in Rafina spending more time in midfield when he returns form injury. Another addition comes in the form of Benfica right-back, Nelson Semedo, whose arrival the club recently confirmed. The Portuguese defender may not be Dani Alves reincarnate, but he and Aleix Vidal provide Valverde options in a problem position. Semedo’s arrival means Sergi Roberto will spend the majority of time in a more familiar midfield role. That would leave Valverde able to choose between him, Rafina, Andre Gomes, Ivan Rakitic, Denis Suarez, Sergio Busquets, Andres Iniesta and, sometimes, Arda Turan for the three available midfield berths. Neither depth nor quality should be an issue in midfield for Barcelona. Barcelona fans will still be hoping for that blockbuster signing, with Marco Verratti the top rumoured target, as reported by the Daily Mail. While his signing would definitely energize the fans, and possibly the squad as well, it may result in a few departures that hurts the squads overall depth. There’s no guaranteed thing in football and Barcelona have made two solid additions in key areas of need. There are few players available that would make this squad better. Free from the extreme intensity of Enrique, and armed with a fresh approach under Valverde, there is the possibility of success next season. Other big teams across Europe may be spending to fix multiple issues, but Barcelona’s main concerns lasts season were in the game plan and mental approach in certain matches. The continued adaptation of last season’s additions should make any squad rotation less of a risk next term. Barcelona will have plenty to prove throughout the 2017/18 campaign, with both players new and old and the coach looking to silence any critics. Money alone won’t help with that. Barcelona’s summer so far may be low-key but it maybe just what is needed to return to the top in Europe.